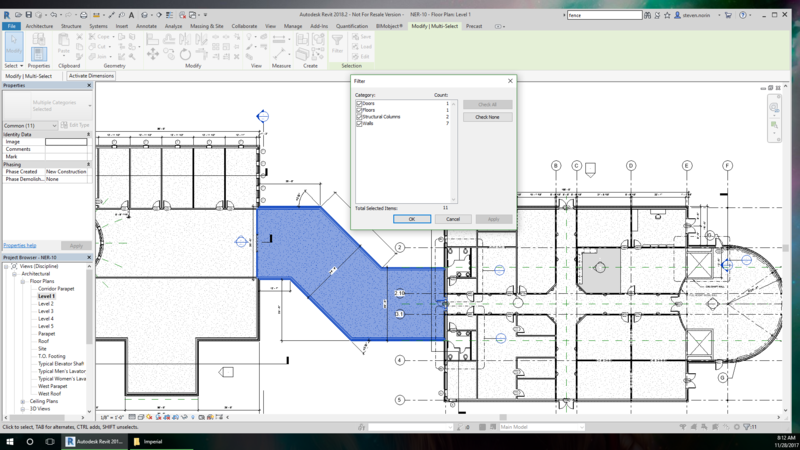 Here’s a convenient new Add-in for Revit 2017 or Revit 2018. 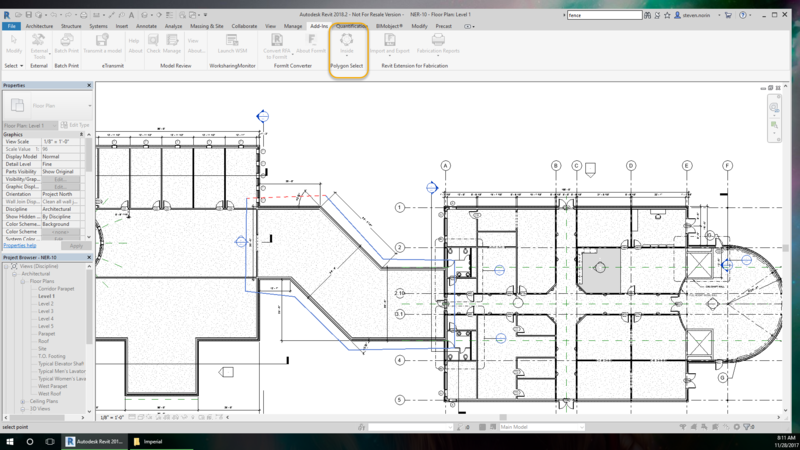 Revit gives you the option to multi-select items by selecting a rectangular window. If you create the rectangle from left to right only the items fully in the rectangle will be selected if you draw the rectangle from right to the left everything inside is selected. After the items are selected you have the option to filter out categories. You can also deselect items by holding the shift key down and left clicking on the item. Alternately you can add items by holding ctrl and right-clicking the item. AutoCAD allows two more methods of selecting the lasso and the polygon select which allow you to create an irregular selection window. 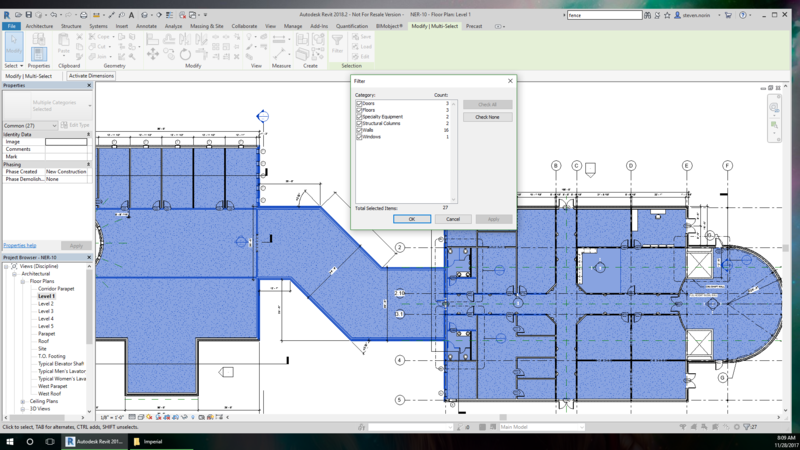 A new add-in released in November 2017 called Polygon Select by FindSolution allows for creating an irregular shape in Revit plan views and 3D views- top view only. You can download the Add-In for a free 30-day trial and only $2/ year after at the link below. Polygon select gives you two options like the other commands and still allows you to filter the selection. Inside selects only the items fully in the polygon. Intersect selects the items that cross the path of the polyline. The widows only select 3D conveniently only selects 3D objects leaving annotations, reference planes, and other 3D items behind. It’s a great tool that will save time and frustrations many times over.